Prior to starting eG Innovations, Srinivas was a senior research scientist at Hewlett-Packard Laboratories in Palo Alto, California. 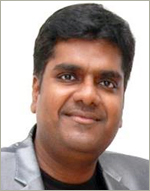 At HP, Srinivas was the chief architect of Firehunter, an ISP performance monitoring solution. He was also a key contributor to the second version of HP’s WebQoS product for enabling Quality of Service for web applications. 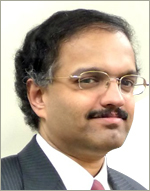 Srinivas has extensive experience in Internet technologies, performance monitoring and management, and multimedia systems, having co-authored more than forty technical papers and has been a co-inventor of fourteen US patents. He has a PhD in Computer Science and Engineering from the University of California, San Diego and a Masters in Computer Science from the Indian Institute of Technology, Chennai, India. 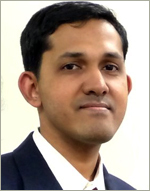 Bala Murugan has been instrumental in the design, architecture, and evolution of the eG product suite, and is the co-inventor on eG’s key automatic infrastructure triage technology patents. Currently, Bala Murugan heads the solution development and delivery team for the Americas, working closely with eG’s sales team and partners in the region. Prior to joining eG Innovations, Bala Murugan was with Transys Technologies where he was responsible for the design and development of one of the earliest J2EE portals in the late 90s. He has a Masters Degree in Computer Science, with extensive experience in multi-tier application development using Java and Microsoft technologies. Anand has been associated with eG Innovations since its inception and is responsible for all financial, accounting, tax, budgeting, and implementation of financial systems and controls across all geographies that the company operates in. Anand has over a decade of experience in progressive finance and business related functions in various industries while working for companies like Bayer, Cairn Energy, and Mikuni. He is a Fellow of the Institute of Chartered Accountants. Tom is an experienced B2B software sales executive, with over 25 years of experience developing and managing sales teams and selling software both on-premise and cloud hosted/SaaS. In several of his previous positions, Tom has built sales teams from scratch to produce over $100M. Prior to eG Innovations, Tom was Vice President of Sales for Moxie Software, a software maker that enables companies better engage with their clients in the digital world. Prior to this, he was Senior Vice President of Sales for 7 years at eGain Communications, a public listed WEB customer interaction and contact center software developer. Tom has also held executive positions with public listed Primus Knowledge Solutions (acquired by Oracle) and Network Associates (acquired by Intel). 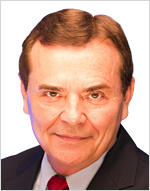 At Network Associates he was the first direct sales person for the Sniffer division (acquired by NetScout), which started the network performance monitoring industry and culminated his career as VP Worldwide Sales for the Total Service Desk Division. He started his career at Pricewaterhouse Coopers in IT consulting. Tom has a BBA from the University of Michigan and MBA from the Harvard Business School.